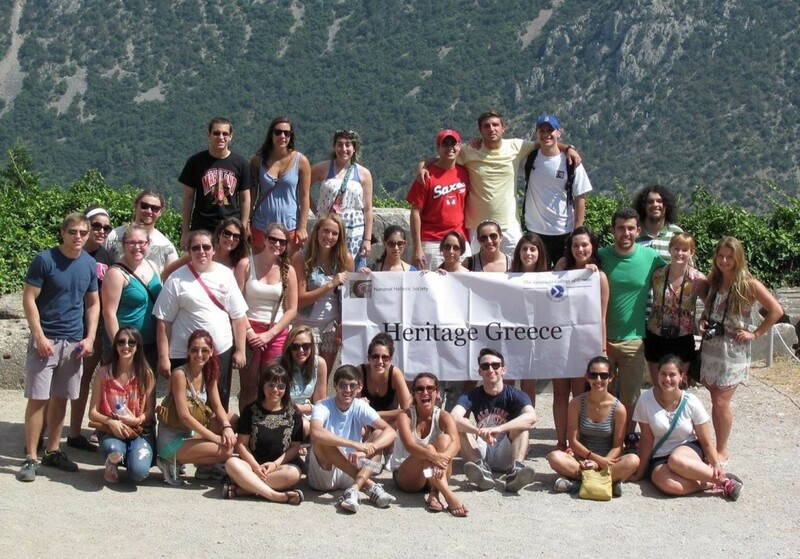 NHS programs make a difference, with NHS’ signature Heritage Greece Program serving as a paradigm shift. Heritage Greece (HG) is a two-week cultural and educational immersion odyssey for accomplished Greek American college students that share their experience with a peer group of exceptional students from the American College of Greece (ACG) in Athens, Greece. The HG Program’s goal is to reconnect the students with their heritage, roots, language, history and traditions. The students have a once in a lifetime opportunity to explore their culture and identity and learn about the ancient past within the prism and context of modern Greece. HG was developed by the NHS as part of its mission to celebrate and preserve Greek heritage in the United States. The HG Program is hosted by ACG, located on a 65-acre beautiful campus in the suburb of Aghia Paraskevi in Athens. The program is a gift from the NHS to the participants. Students bear a portion of the airfare costs to and from Athens, while expenses including tuition, transportation, meals and related costs are borne by the NHS. Students learn language skills within the context of modern Greece and travel to important archaeological locations. Visits to an island and related sites and activities will facilitate strong connections with students’ Greek roots and identity. The Heritage Greece experience continues beyond Greece as Heritage Greece alumni avail themselves of opportunities to develop professionally as part of the NHS Alumni network and NHS programs. Hear about Heritage Greece from the students themselves here!